Time-to-market pressures are a constant source of concern for product and software developers. The period between a product’s inception and public release is shrinking, and the dearth of developers, engineers, and coders allocated to tackle this challenge is requiring organizations to turn more and more to collaborative solutions to get the job done. This transformation comes in the form of increased adoption of Agile software development methodologies and improving team integration from different engineering domains. These changes enable companies to efficiently complete the mountain of tasks required to get a product to market quickly and successfully. However, according to a recent VDC Research report, the consumer electronics industry has been slower to embrace these methods than other industries. In fact, the report’s survey respondents in consumer electronics had the lowest adoption rate among all embedded industries. 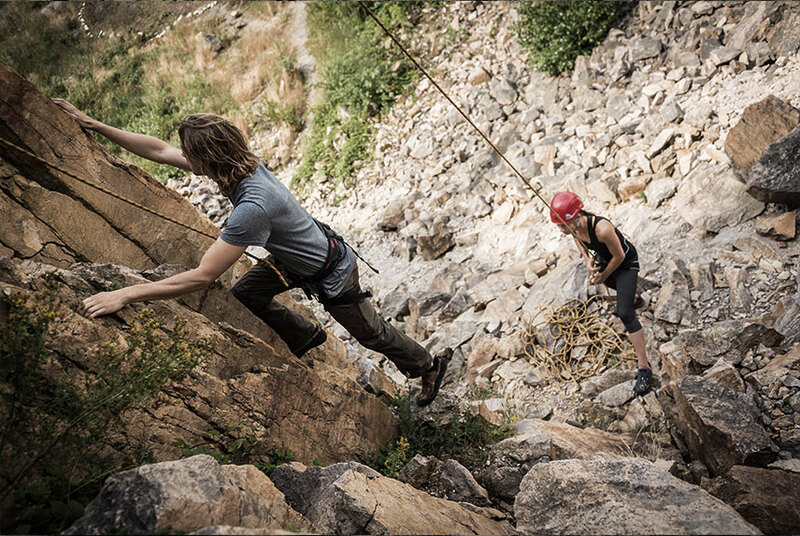 That may shift soon, as rapid change in industry standards and expectations are forcing holdout companies to start adopting new collaboration practices in earnest, or at least begin adding aspects of these new methodologies to their existing processes. Hybrid, or multimodal model development, processes are now being created to enhance collaboration, and include extensive preplanning or requirements documentation, along with stand-up meetings, sprints, and retrospectives. Bringing in disparate teams — often located in different geographies or not full-time employees of the companies they’re coding for — requires a higher level of coordination to ensure the right hand is talking to the left. It’s also important to make sure all teams are making the most of their efforts without doubling up on tasks or repeating work that already completed by another team at a different site. Beyond those challenges, stakeholders are demanding detailed, real-time progress reports of these teams to ensure the projects are being completed efficiently and on time. To meet these rigorous demands, as well as those of the end-consumer, alternative methods to completing projects are coming to the fire. Code generated by modeling tools, re-used from other projects, or acquired from third-party sources, are all options for helping developers meet the demands of expanding software requirements. However, these methods must be done cautiously to avoid potential liability, security, or vulnerability issues. That’s one of the reasons why risk assessments are a critical component of this multi-faceted method of development, and an integrated product development platform can be helpful in tracking code origins and providing traceability audits to ensure compliance mandates are met. This traceability cannot be completed solely in-house, as consumer electronic device failures can have safety-critical consequences. By employing traceability data, teams finding and fixing software bugs can quickly find potential vulnerabilities and determine where else they might be located. 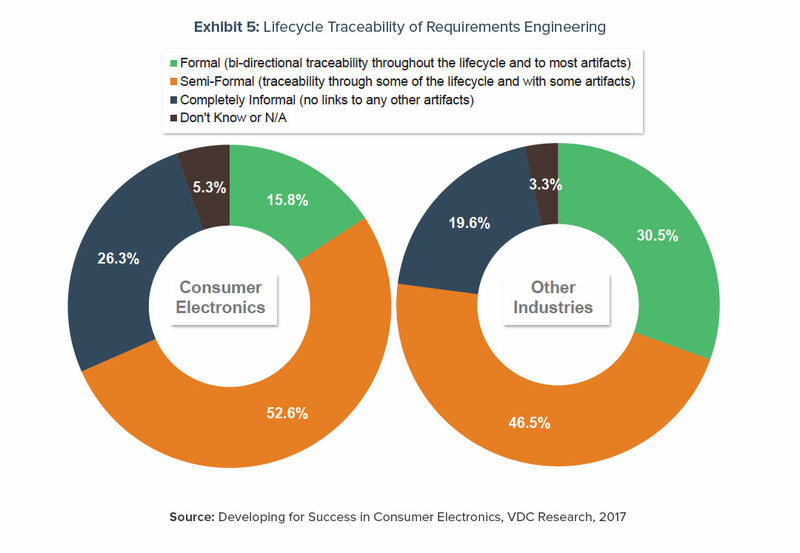 But this solution is not a panacea — many organizations have difficulty effectively managing traceability across their development lifecycle, according to the VDC Research study. Existing practices include the use of in-house tools or commercial software like Microsoft Word or Excel, but these methods are becoming less feasible as variant management needs and system dependencies bridge multiple engineering domains, as well as the number of applications facing compliance verification. The number of organizations focusing on establishing collaborative development processes is on the rise. Integrated teams are helping the consumer electronics industry re-shape their practices to ensure products are delivered on schedule and free of bugs, which are too often discovered late in the process, and can require costly and time-consuming recoding. As the industry catches up to other markets in the collaboration space, the result should be cohesive teams working together on solving issues before they become major calamities.